Situations like the one she found herself in at the age of 16, when a man tried to pull off her head scarf. 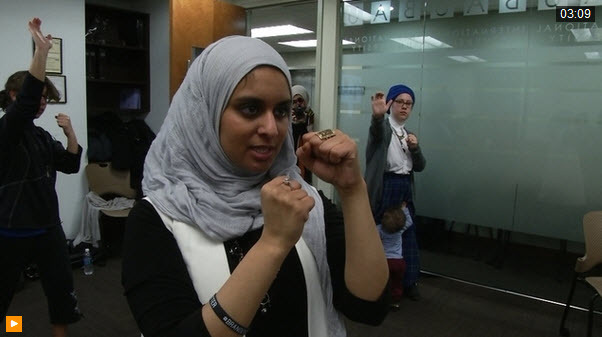 It was then she decided she wanted to help other Muslim women to protect themselves. Muslim American groups say the number of anti-Muslim hate crimes in the U.S. has tripled since the Paris attacks and the San Bernardino shootings. Muslim advocacy groups put a lot of the blame for this uptick in bias crimes against their community on the anti-Muslim rhetoric that’s crept into the U.S. presidential campaign. The post US Muslim Women Strike Back Against Hate Crimes appeared first on TELL MAMA.